reaching 1,500 feet (five football fields) and a draft of 80 feet or more. Aggregate American consumption of raw materials, agricultural products and manufactured goods, boosted by immigration-driven U.S. population growth, affects the natural resources and environment not just of U.S. territory itself, but the lands, waters, natural resources and environments of other countries and continents. It also impacts human health and the well-being and livelihoods of often indigenous or tribal residents of poor countries. These raw materials include renewable resources such as timber, wood products (e.g., paper, cardboard and plywood), agricultural produce and fish, as well as nonrenewable resources such as oil, minerals, metals and rare earth elements. Some of these resources originate from the U.S. itself, being grown, harvested, mined or pumped domestically. 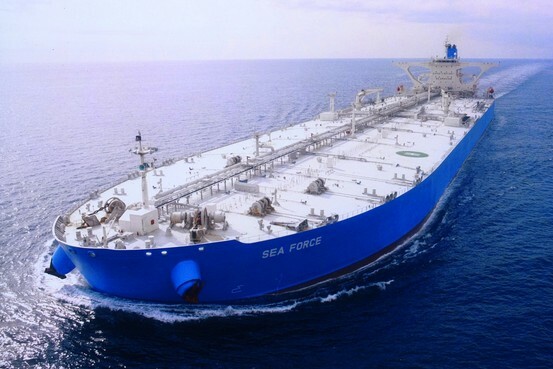 Other raw supplies and manufactured goods used directly or indirectly by American consumers originate overseas and are imported into the U.S. as part of international trade and commerce. For this latter category of imported materials and goods, American industry and consumers are “outsourcing” the pollution, greenhouse gas emissions, environmental damage and human health effects associated with an enormous amount of drilling, digging, blasting, mining, manufacturing and harvesting – often under primitive conditions with little environmental oversight – that provide goods and services for our domestic consumption. It is a no-brainer that more Americans mean more consumption of such imports. More Americans will trigger more associated impacts in those countries that export to us. Similarly, U.S. consumption itself, primarily of fossil fuels – whether domestically produced or imported – releases enormous quantities of carbon dioxide that are contributing to climate change and concomitant widespread detrimental ecological effects around the biosphere. Many of these effects are being felt most intensely in the developing world and particularly by poorer, marginalized populations in the developing world. Now the Guardian reports on a new study in the British scientific journal Nature – “Transboundary health impacts of transported global air pollution and international trade” – confirming the broad-brush findings of the PFIR EIS. The Nature study provides the first detailed accounting of the extent to which American and Western European consumption of imported items such as clothes, toys and mobile phones contributes indirectly to harmful levels of air pollution in the developing countries where these goods are manufactured. The study estimates that almost 3.5 million people suffer premature deaths annually from air pollution. Approximately 22 percent of these deaths – about 770,000 a year – are associated with goods and services produced in one region and exported for consumption in another region. Moreover, the investigation finds that about 12 percent (411,100) of the early deaths on a global scale were associated with air pollutants, especially fine particulate matter (PM 2.5), emitted in a different region of the world. 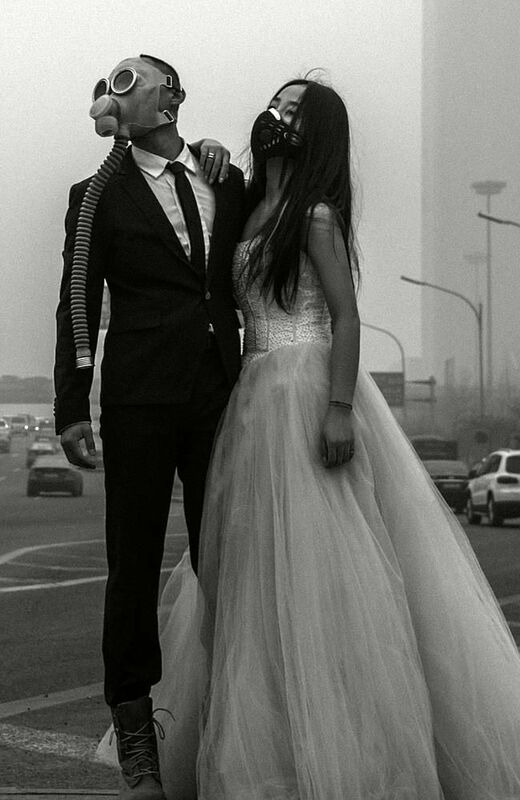 Chinese newlyweds in Beijing take their wedding photos wearing gas masks. Air pollutants emitted in China are responsible for more than twice the premature mortality worldwide than the emissions from any other region. Next are pollutants emitted in India and the rest of Asia. The Nature paper’s authors calculated that PM 2.5 pollutants emitted in China are linked to almost 65,000 premature deaths annually in other regions, including more than 3,000 deaths in Western Europe and the United States. However, these 3,000 annual premature deaths in Western Europe and the U.S. are far surpassed by the 108,600 premature deaths in China linked to Western European and American consumption. Improving pollution control and governance in developing countries is certainly one important approach to resolving this growing transboundary pollution problem. Another is stabilizing U.S. population so that the number of American consumers demanding cheap gizmos, gadgets and gewgaws from across the planet is capped.